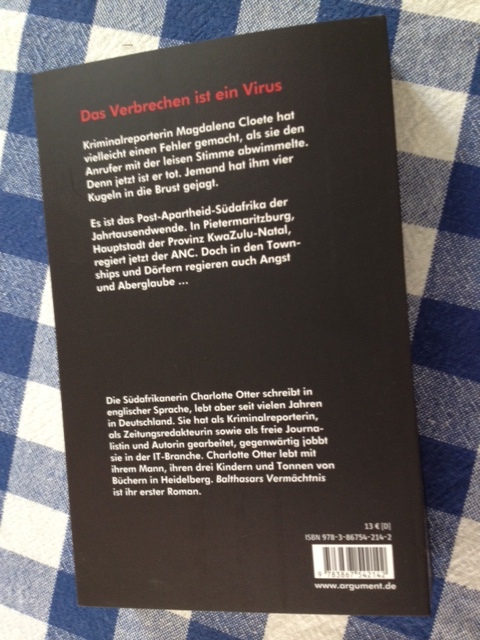 I love the tagline: Das Verbrechen ist ein Virus. Categories: The Novel, Words Don't Come Easy | Permalink. Anyone remember The Cool White Room of Peace? I was there this week. Lying there, with someone drilling inside my head, specks of spit hitting me in the face, the numb slug of my tongue in my mouth, I had some time to reflect. When I wrote that post in 2006, it was right at the start of my writing journey. I was just starting to find my feet as a blogger, starting to peek out from behind the wall of fear at the possibility that I might start writing something out of the images in my head and the rage in my heart. It took another eighteen months, but in January 2008, with the awareness that at the end of the year I would turn 40 and the feeling that if I didn’t start then I never would and I would one day die angry and bitter, I started a novel. It was very bitty. I had no idea where I was going. I wrote my way in, draft after draft after ever-loving draft. Cheerleaders read my chapters, saying encouraging things. Friends leapt out of the internet to read my drafts and make suggestions. There were highs and some horrible lows. It started out as literary fiction and turned into crime. First person became third. An entirely new character presented herself to me as I drove my family home from Berlin and she became my main character. I killed darlings. I erased characters. I murdered words. Around draft six, my agent Michaela phoned me to say she loved the book and wanted to represent me. 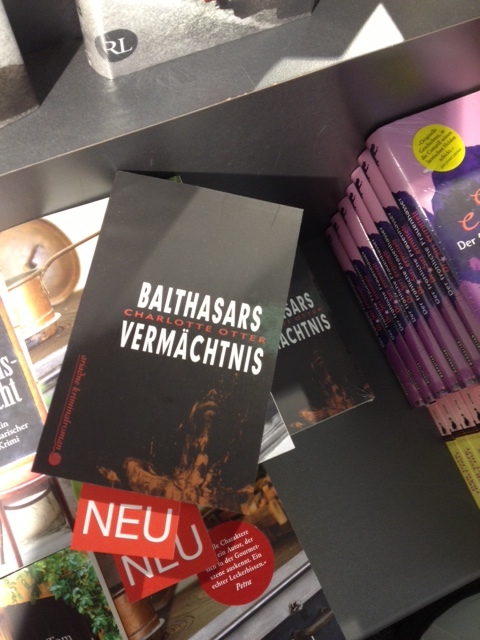 Around draft fourteen, my publisher Else offered a contract to publish Balthasar’s Gift in German. She titled it Balthasars Vermaechtnis and translated it herself with loving attention to detail and to the accuracy of words and meaning. July 17 is publication day. Sometime between now and then, I will hold a book that I have written myself in my very own hands. It has been a long hard road from the cool white room of peace to this. But every detour, every dead end, every hard shoulder presented a chance for me to become a better writer. I am grateful for them all. 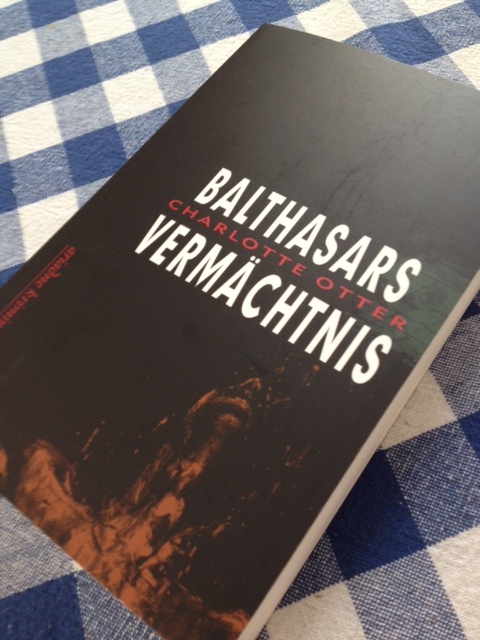 Categories: Balthasar's Gift, Balthasars Vermaechtnis, The Novel, Writing | Permalink. 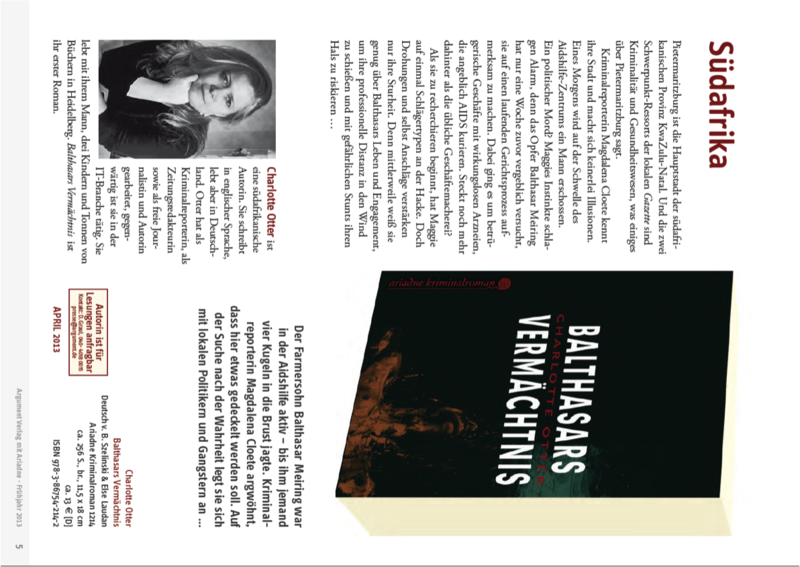 Balthasars Vermaechtnis – Publication Date 17 April 2013! 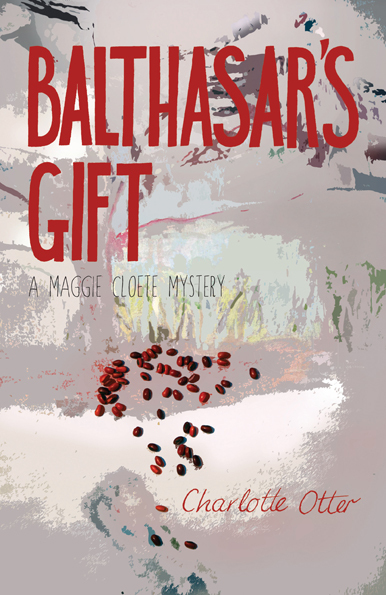 Categories: Balthasar's Gift, Balthasars Vermaechtnis, The Novel | Permalink.